Museums and art galleries usually open from 10-6 and are closed on Mondays (exceptions include the Jewish Museum’s synagogues – closed Saturday). The National Museum, the largest museum institution in Czech Republic which permanently exhibits following collections: Prehistory of Bohemia, Moravia and Slovakia; Mineralogy and Petrology, Palaeontology; Zoology, Anthropology – Human Bones are speaking, Osteological collections (Skeletons of mammals). At the sometime a long-term Exhibition of the Numismatics Department – Orders and Decorations of European Countries in the 19th and early 20th centuries takes place. Admission: free 1st Monday of each month otherwise 100 CZK. 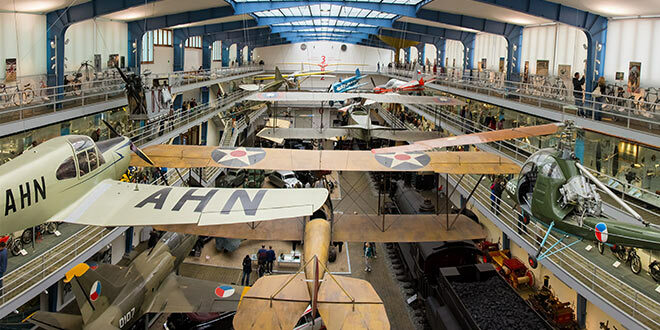 The museum is the only one of its kind in Prague and is also rated as a top tourist attraction by visitors to Prague. It presents the atmosphere of the communist era in Czechoslovakia and Prague in particular. The layout follows the origins, dreams and reality of communism as well as the nightmares of interrogation and imprisonment. There is photography, video, sounds and displays as well as text in several world languages. Open: daily including public holidays 9am-9pm. Heretics, witches and state enemies were all tortured or burned at the stake. It might sound morbid, but the Inquisition and torture is part of Europe’s history. To be honest, the experience of visiting the torture instruments’ museum is one that can have a powerful effect on any person. All explanations and comments are in English. There are over 60 wax figures of personalities of Czech and world history, politics, science, culture and sports. The museum has two branches. Location 2: Melantrichova 5 (Wax Museum of World Personalities). The époque of cubism within world culture applied mostly to paintings and sculptures, and its architectural primacy is in Prague. This is an exhibition of Czech cubism from 1910 to 1919. This houses exhibits from sciences like acoustics and astronomy, and also of means of transport, time measurement. Location: Kostelní 42, Prague 7, websiteOpen: Tue-Fri 9am-5pm; Sat, Sun and holidays 10am-6pm; first Friday in each month from 12pm entry free. This houses historical transportation originals, models, written documents, photographs and drawings. Open: daily, except Mon, 9am-12pm and 1pm-5pm. This houses a unique collection of postcards from 1890 to 1930, which maps the origin and development of the postcard as postal stationery. Open: daily, except Mon, 11am-7pm. The Museum of Children’s Drawings is a great place for the whole family to stop into, with regular interactive options for kids to see and create their own masterpieces. The hands-on experiences offered regularly at the Museum of Children’s Drawings is a fun way for the kids to spend an hour or two, learning of the significance of art, and how they can participate in such a form of cultural preservation. Open: daily, except Mon, 1pm-6pm. Admission fee: 40 CZK, 20 CZK for children. Open: daily, except Mon, 10am-5pm. Location: The Kinský Summer House, Prague 5, Kinského zahrada 98, websiteOpen: daily, except Mon, low season 9am-5pm; high season 10am-6pm. This presents a history of pharmacy in the Czech lands from the 16th to the 19th century. Open: Tue-Sun and holidays 11am-6pm. Location: Betlémské nám. 1, Old Town, websiteOpen: Tue-Sun 10am-6pm; closed every Mon. The Monuments of the Nation’s Past. 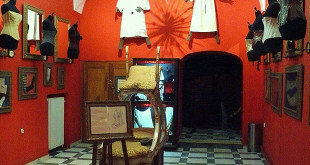 Location: Jiřská 3, Prague Castle, websiteOpen: daily, except Mon, 9am-5pm; on every first Wed of each month entry is free. This is a presentation of musical instruments. It is an outstanding proof of art and craftsmanship, and acts as a basic mediator between humans and music. The life and work of the famous Czech musician Bedrich Smetana (1824-1884) are displayed here. You can see many letters, documents, scores and musical instruments. He is best known abroad for his emotionally charged symphonic poem, Ma vast (My homeland) and also for fine chamber music. He also composed numerous operas for the National Theatre, including The Bartered Bride and The Kiss. Open: daily, except Tue, 10am-12pm and 12.30pm-5pm. This houses a display of the life and work of Antonin Dvořák (1841-1904). More info. Location: Ke Karlovu 20, Prague 2, websiteOpen: daily, except Mon, 10am-1.30pm and 2-5.30pm. Main building of museum ‘Na Florenci’ presents the development of Prague from the earliest settlement of the Prague Basin to the year 1784. 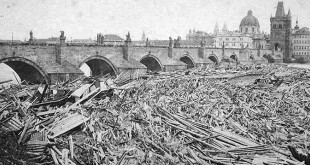 The most famous exhibit is Langweill’s Model of Prague from the years 1826 to 1837. Its technical perfection, scope, masterly craftsmanship and grace rank this model, with a total area of 20 sq m, among the unique models of its kind in the world. 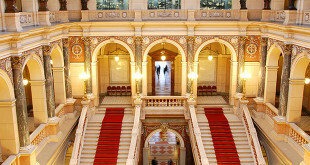 Open: daily 9am-6pm; on the first Thu of every month it is open 9am-8pm. Here you will find stories of materials, such as glass, ceramics, commercial art, furniture, textiles, books and placards. Open: daily Tue 10am-7pm (every Tue 5-7pm free entry), Wed-Sun 10am-6pm. This houses works by the Czech painter František Kupka (1871-1957), Cubist sculptural works by Otto Gutfreund from the period 1911 to 1914 and Jiff KoIář, and also present-day Central-European art by important Czech, Slovak, Polish, Hungarian and Yugoslavian artists mainly from the 1960s to 1980s complemented with other short-term exhibitions. The Jewish Museum manages the following historical buildings: Maisel Synagogue, Spanish Synagogue, Pinkas Synagogue, Klausen Synagogue, Ceremonial Hall, Old Jewish Cemetery, Robert Guttmann Gallery, Old-New Synagogue and the Jewish Cemetry in Žižkov. Tip: When you’re in Prague, make sure you visit the Mucha Museum. 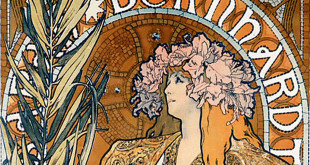 Mucha was famous for his modern art. The museum was opened in 1998 and was very long-awaited.